The voter registration objection process is a safeguard in the law to ensure a clean electoral roll because once gazetted, the roll cannot be challenged even in court. 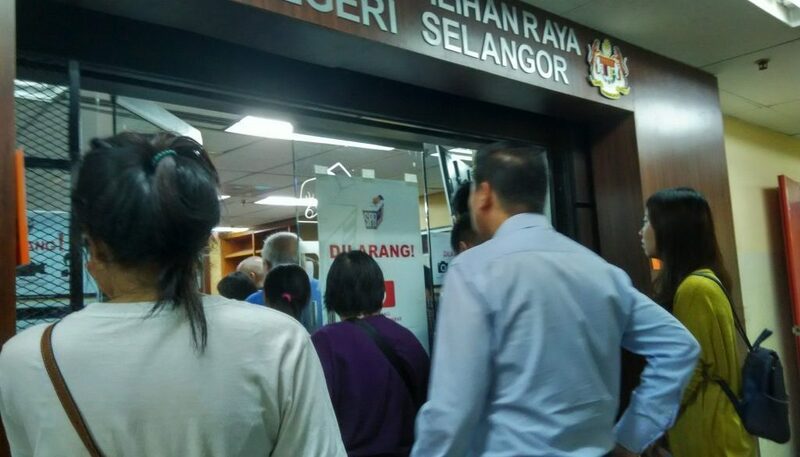 Political parties are the usual scrutinisers of supplementary rolls, but citizens can also check it wherever it’s displayed (at EC and local council offices) to see whether their neighbourhood has any suspicious new voters and, if yes, lodge an objection with the EC at a fee of RM10. New voters themselves can check that their details are correct if they are unable to access the EC’s website. Unfortunately, the objection process is being abused by certain parties to disenfranchise new voters in what are expected to be hotly contested seats. Voters should not allow them to get away with this and defend their right to vote! 1. First, check your voting status update at http://daftarj.spr.gov.my/DAFTARJ/ four to six months after your registration or change of address. 2. If your registration or change of address is objected to, your voting status should say “dalam proses siasatan kerana pemilih dibantah” (being investigated because voter has been objected to). You should also receive a notice by registered post from the EC informing you that a hearing will be held on the matter; usually within a fortnight if the post delivers on time. However, the EC website may not be updated and you may not be alerted that anything is amiss, so it’s best to check your mail box every day. 3. Prepare the documents stated in the notice to show that you live in the address (IC) and that the address is correct (eg. electricity/water bill). 4. Come to the EC office for the hearing at the stated time and date in the notice (failing which, your registration will be cancelled and you will have to register all over again). 5. At the EC office, submit your name to the EC staff. You will be given a queue number. There will be other voters there facing the same predicament. There should also be objectors there. 6. Relax and wait for your turn. When the judge is ready to hear your case, the EC staff will announce you and your objector’s names. The police will let both of you into the hearing room, though you may be going in alone if your objector is not present. 7. The judge will ask you a few questions to verify your claim and then make her/his decision. 8. Upon leaving the room, you will be given a print-out of the case, which has your objector’s name, IC number and phone number. If you are not able to meet your objector face-to-face to demand compensation as per your legal right for the inconvenience caused to you over their wrong objection, call the number listed; insist on cash at hand. 9. Contact the BERSIH 2.0 hotline – 011-1131 3803; hotlinebersih@gmail.com – if you need further clarification.